So, we love to forage and gather and just find food for the taking. There is something so great about finding free food that our Earth provides for us, it just makes me wonder why we didn’t know about these things when we were younger. I mean, really, FREE GOOD FOOD. We had a great day. The kids and I made a fire at our fire pit while IZ was kiteboarding. Ky is getting really good at making his one match fires, he’s turned it into a fine art. When IZ got home, he had a great idea to go gather oysters. He and the 3 kids went to a nearby beach on a pretty serious mission, meanwhile, I went for my daily walk. They came back with oysters and Stinging Nettle, which was a real surprise. It’s still February, so winter time nettle is really yummy and tender. 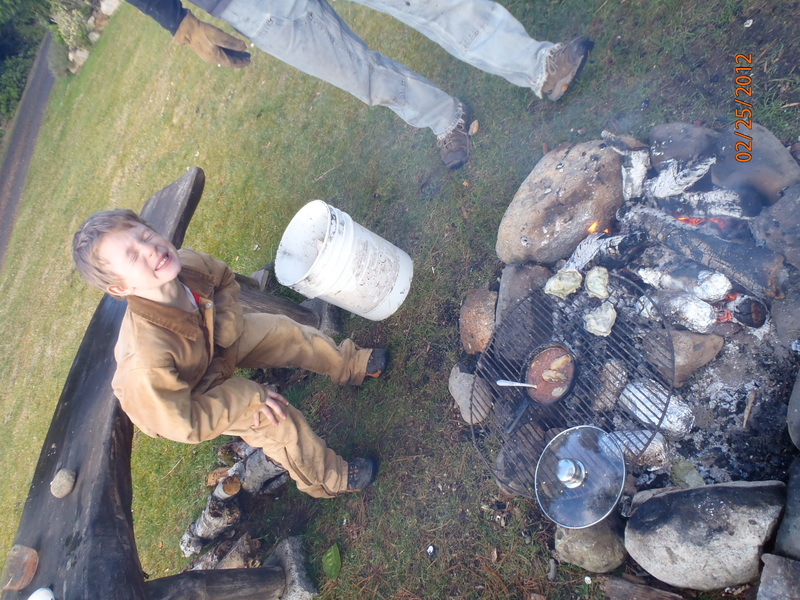 They came home and we cooked the oysters up on the BBQ and then put them in a pan of lemon, garlic, butter and cayenne. YUMMY! 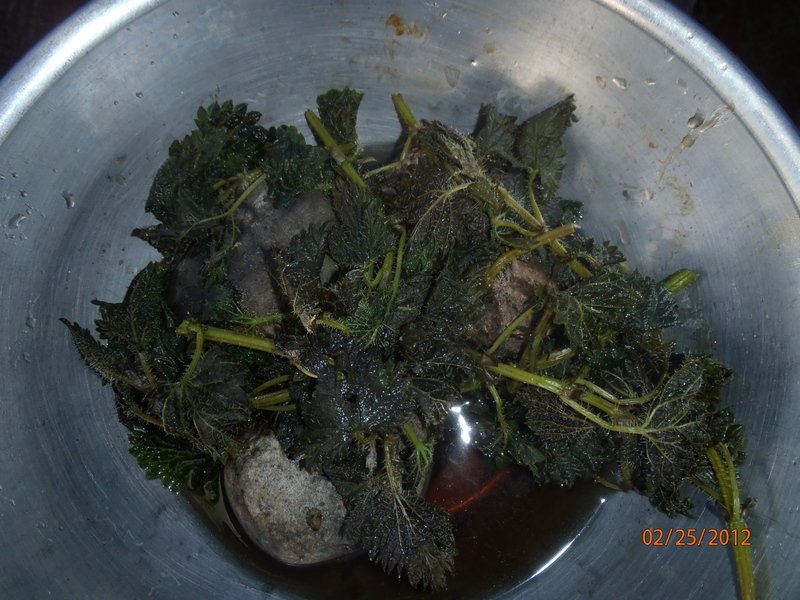 KY has been working on his woodsman skills and heated water with hot rocks and steamed the nettle. We wrapped our buttery oysters in the nettle and had about the best dinner we’ve had in a long time, well since our last garden harvest anyway! Here are some pictures. I tried to rotate them, but not having much luck with that. 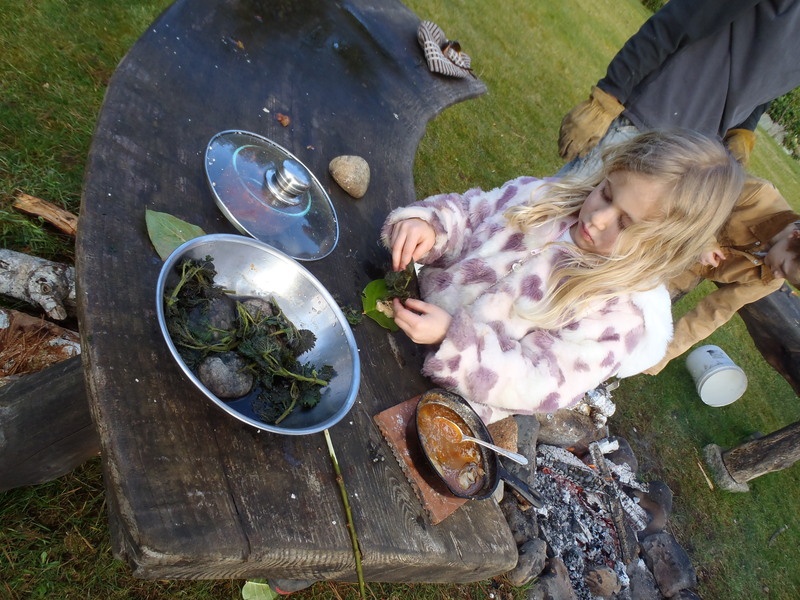 Note the Salal leaf plates the kids had us use. 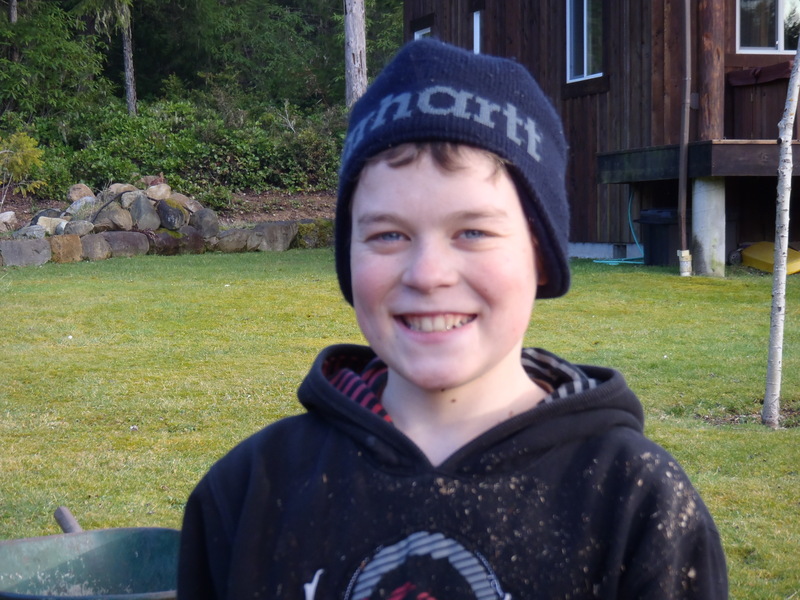 It was just a great winter day, outside by the fire, visiting with the kids and teaching them some self reliance, marine biology and playing games like hot potato with hot rocks and putting hot rocks in our pockets to keep us warm. 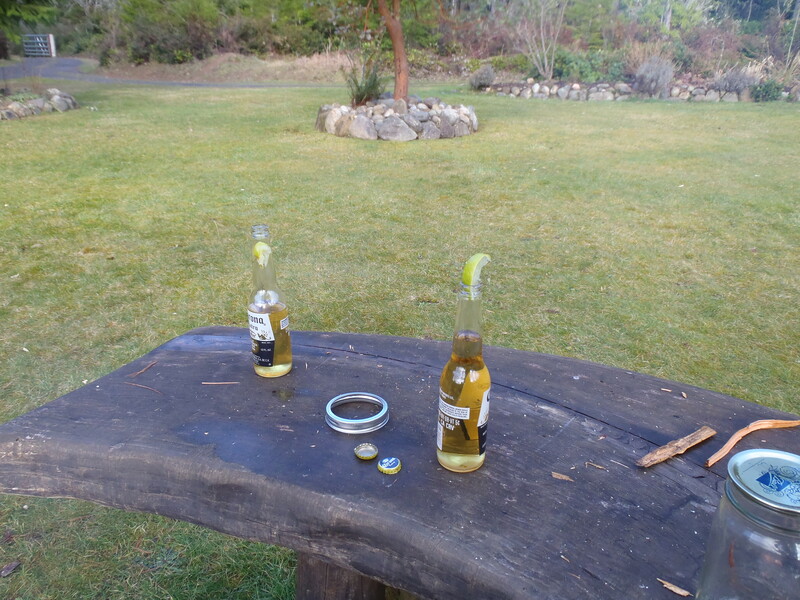 Ahhh, the simple life! 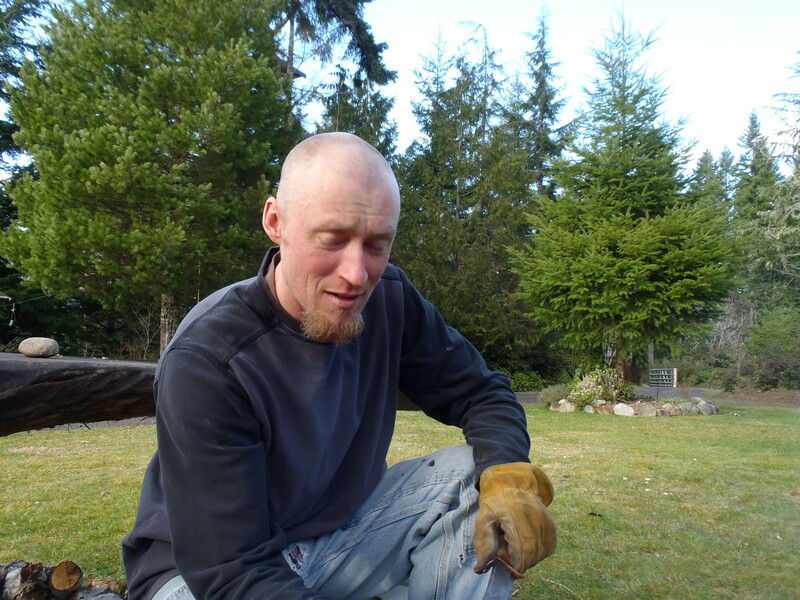 This entry was posted in Food For The Good Life, Self Reliance, Simple Living and tagged eating stinging nettle, foraging, hood canal oysters, oysters, Raw Food, wild food. Bookmark the permalink.